Okay, lets look at pretty fabric, shall we? But then, I got distracted and dug out some more pretty Christmas/winter fabric called Happy Holiday by Happy Zombie that has been waiting a long, long time to be made into something pretty. It goes so well with the Merry Little Christmas line, don't you think? Your quilt is beautiful. We are walking thru a challenging time as well. I pray yours will be resolved and bring you peace. 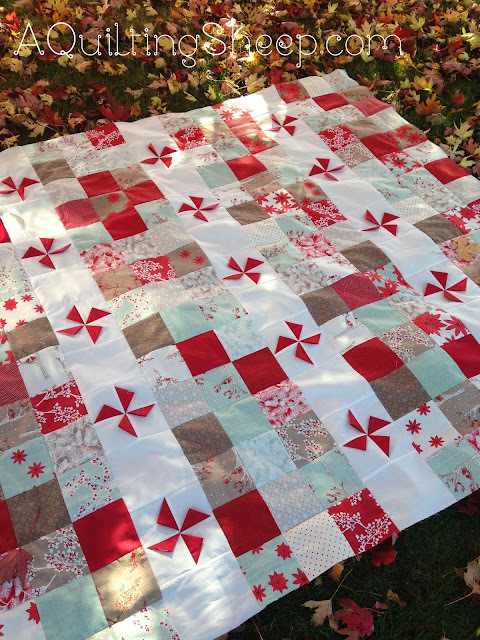 Winters Lane's simplicity makes it a super pretty quilt! Hope all is well...thinking of you! Your Winter's Lane quilt is exquisite! I have a half completed version of a quilt, but it is a plain pattern. Exquisite is the only word I can use to describe yours. Your Winter's Lane quilt is so pretty. It is my favorite Christmas line this year and I'm just doing simple patchwork with a layer cake. I love the prints so much. :) Cardinals make me think of my grandma. OMG!! The 3-D-Pinwheels are so sweet. I instantly fell in love with these. Lovely quilts Amy. Still hugs and prayers for you and your family. Your quilt is gorgeous. I love the pin wheels. Oh I am drooling over your fabrics. I send many hugs and prayers your way my dear. The red pinwheels really pop! Quite festive for a holiday quilt! Wishing you peace and strength for your difficult times. You always choose such beautiful fabrics! This is so pretty, but I can see it be beautiful in your next prints, too...or is that yummy pile gonna be a different pattern? BTW, loved your you tube post on the gospel. Amen, Amen! 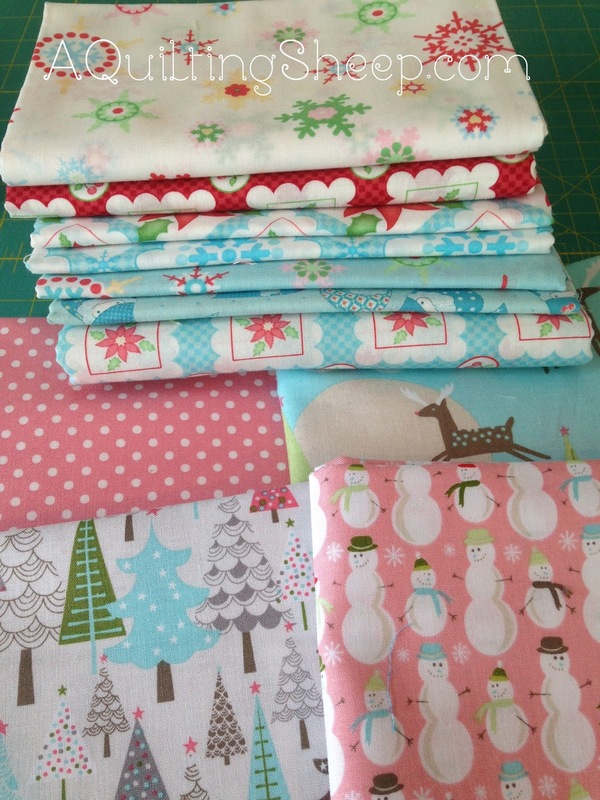 I just love all those Christmas fabrics.